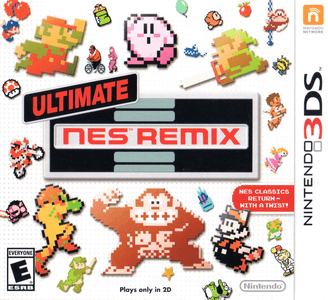 Ultimate NES Remix, known as Famicom Remix: Best Choice (Japanese: ファミコン リミックス：ベストチョイス Famikon Rimikkusu: Besto Choisu) in Japan, is the third installment of the NES Remix series and the first installment on a handheld for the Nintendo 3DS. Ultimate NES Remix works near flawlessly in Citra. Graphically, the game is considered perfect and performs well even on lower-end hardware. With the recent implementation of LLE DSP, NES Games now have audio but don’t run sound that perfect.